Levelland is the principal city of the Levelland micropolitan statistical area, which includes all of Hockley County and part of the larger Lubbock–Levelland combined statistical area. Levelland is at the center of Hockley County. Texas State Highway 114 runs through the north side of the city, leading east 30 miles (48 km) to Lubbock and west 43 miles (69 km) to the New Mexico border. U.S. Route 385 passes through the center of the city, east of downtown, leading north 24 miles (39 km) to Littlefield and south 29 miles (47 km) to Brownfield. According to the United States Census Bureau, Levelland has a total area of 10.2 square miles (26.3 km2), of which 0.004 square miles (0.01 km2), or 0.06%, is covered by water. As of the census of 2000, 12,866 people, 4,574 households, and 3,361 families resided in the city. The population density was 1,296.5 people per square mile (500.8/km²). The 5,186 housing units averaged 522.6 per square mile (201.8/km²). The racial makeup of the city was 70.34% White, 5.36% African American, 0.95% Native American, 0.18% Asian, 0.05% Pacific Islander, 20.92% from other races, and 2.21% from two or more races. Hispanics or Latinos of any race were 39.21% of the population. Of the 4,574 households, 36.2% had children under the age of 18 living with them, 55.9% were married couples living together, 13.2% had a female householder with no husband present, and 26.5% were not families; 23.2% of all households were made up of individuals and 11.6% had someone living alone who was 65 years of age or older. The average household size was 2.68 and the average family size was 3.17. In the city, the population was distributed as 27.6% under the age of 18, 14.0% from 18 to 24, 24.6% from 25 to 44, 19.8% from 45 to 64, and 13.9% who were 65 years of age or older. The median age was 33 years. For every 100 females, there were 93.0 males. For every 100 females age 18 and over, there were 88.0 males. The median income for a household in the city was $28,820, and for a family was $32,408. Males had a median income of $29,800 versus $20,042 for females. The per capita income for the city was $14,296. About 15.7% of families and 20.2% of the population were below the poverty line, including 25.8% of those under age 18 and 13.2% of those age 65 or over. The City of Levelland is served by the Levelland Independent School District. The Levelland High School mascot is the Lobo. Levelland is also home to South Plains College. The James McMurtry song "Levelland", recorded in 1995, is a song about life in the city, told from a slightly acerbic point of view. The song has also been recorded by Robert Earl Keen. Held in the third week of July, Camp Bluegrass is a large social event, with public concerts, held on the South Plains College campus. Levelland is home to the 12-year-old state champions in baseball, the Levelland Kekambas.[when?] This was the first team to ever win state from Levelland. The team ended up placing fifth at the regional tournament in Fort Smith, Arkansas. Levelland is famous as the site of a well-publicized series of UFO sightings in November 1957. Several motorists driving on various highways around Levelland in the evening and early morning hours of November 2-3 claimed to see a large, egg-shaped object which emitted a blue glow and caused their automobiles to shut off. In most cases, the object was sitting either on the highway or close to it. When the object took off, witnesses claimed their vehicles would restart and work normally. Among witnesses were Weir Clem, Levelland's sheriff, and Ray Jones, the town's fire chief. The United States Air Force concluded a severe electrical storm (most probably ball lightning), was the major cause for the sightings and reported auto failures. However, several prominent UFO researchers, among them Dr. James E. McDonald, a physicist at the University of Arizona, and Dr. J. Allen Hynek, an astronomer at Northwestern University, disputed this explanation. Both men argued that no electrical storm was in the area when the sightings occurred. Gene Mayfield (January 31, 1928 – October 2, 2009), a successful high school and college football coach, concluded his career at Levelland High School. David J. Schmidly (b. 1943), an American scientist, professor and university president, was born in Levelland. The Sparkles, a garage band active 1957–72, best known for "No Friend of Mine" and "Hipsville 29 B.C. (I Need Help)"
^ a b "Levelland". Geographic Names Information System. United States Geological Survey. ^ a b "Geographic Identifiers: 2010 Census Summary File 1 (G001): Levelland city, Texas". American Factfinder. U.S. Census Bureau. Retrieved March 9, 2018. ^ "Seasonal Temperature and Precipitation Information". Western Regional Climate Center. Retrieved December 12, 2014. ^ a b c Clark, Jerome (1998). The UFO Book: Encyclopedia of the Extraterrestrial. Detroit: Visible Ink Press. pp. 339–340. ISBN 9781578590292. 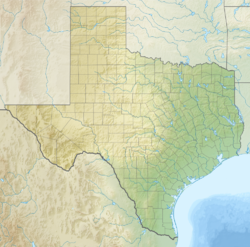 Wikimedia Commons has media related to Levelland, Texas. This page was last edited on 24 December 2018, at 02:26 (UTC).